Every board is unique. Yet when you learn about how to hand plane a board flat you hear about a process of planing across the grain, then maybe diagonally, then finally with the grain. But if every board is unique how can the same rote process applied possibly be efficient. I hear every day from woodworkers struggling to flatten boards by hand. Most of them have boards that end up too thin or with tapered sides. Their frustration mounts and their planes end up sitting on a shelf. Worse, the act of milling a board by hand gets labelled as slow and inefficient. What we need is a better way to flatten a board by hand! What if I were to tell you that hand planing doesn't have to be slow? You can flatten a board in seconds and get your faces flat and square to one another while removing VERY little wood. You see we are imperfect machines that are bound to interfere with the precision that our tools offer. So it follows that the less planing we actually do the faster you can get a board flat. This is what the spot planing technique is all about. Remove only the high spots and then, and ONLY THEN, do you start making full length passes. 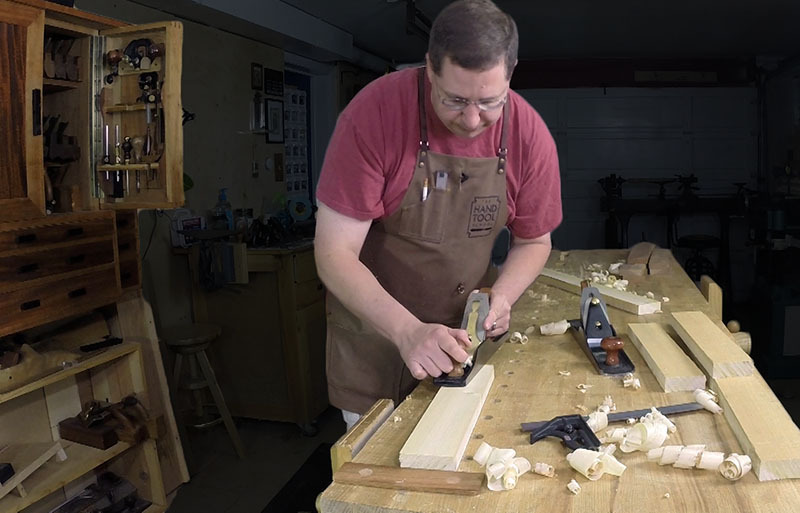 In this 25 minute HD video, (edited from an Apprentice Session) I use a hand plane to flatten a board on 4 faces (S4S) in minutes while only removing 3/32" of material from the faces and 1/16 from the edges. TOTAL! A Better Way to Flatten a Board By Hand! When every board is unique following a process to flatten a board by hand makes no sense. Spot plane away the high spots to get flatter, faster, and with less stock removal.